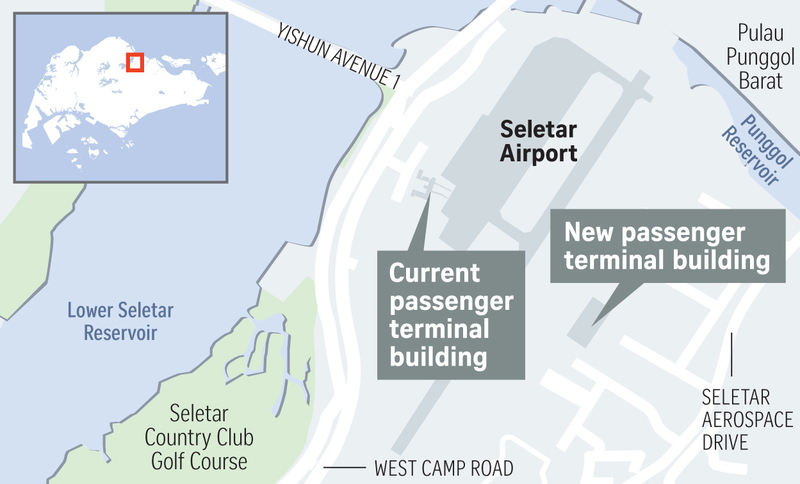 As WSSL/Seletar prepares to open its new $80 million terminal on Nov 19, the authorities have announced that WSSL is now a “schedules facilitated” airport. Don’t panic – at least, not yet. This basically just means that because demand is now getting close to the airport’s capacity, all airline and charter flights must confirm their schedules with the airport in advance – BA/GA flights don’t need to do this. It does not mean that the airport has become slot coordinated, although that might happen at some point in the future if congestion continues to be a problem. The new facility – six times bigger than the old terminal – will be split in two, with one large section for airline flights, and another separate section dedicated for GA/BA. Here’s a video of what the new terminal looks like! The idea is to free up capacity at WSSS/Singapore by moving all scheduled turboprop flights to WSSL/Seletar when the new terminal opens. At the moment, the only airline that falls into this category is Malaysia’s Firefly – which currently operates 20 daily flights at WSSS – to and from WMSA/Subang, WMKI/Ipoh and WMKD/Kuantan. Important to note – all BA/GA traffic must switch to using the new terminal when it opens on Nov 19 at midnight local time. Jet Aviation have provided a handy printout which tells you all you need to know about using the new terminal. Note that the new terminal is on the other side of the runway from the old terminal! In other news, the ASEAN summit will be finishing up in Singapore tomorrow, Nov 15. At WSSS/Singapore, no GA/BA parking/slots are available until Nov 17, with no tech-stops or drop-and-go’s allowed either. At WSSL/Seletar, the airport will be closed on Nov 15 from 0830-1900 local time. Singapore CAA’s AIC detailing how and why WSSL/Seletar has become a “schedules facilitated” airport. Our article on how to make your flight to Singapore as misery-free as possible.